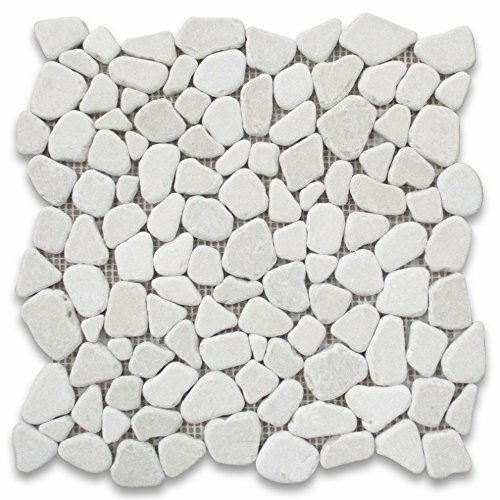 Premium Grade Pebble Stone Crema Marfil Marble Mosaic tiles. 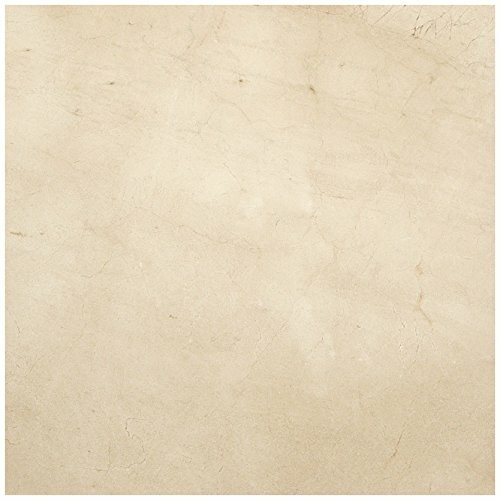 Spain Crema Marfil Tumbled Smooth 12 x 12 Random Crazy Mix Wall & Floor Tiles are perfect for any interior/exterior projects. The Crema Marfil Marble Pebble Stone tiles can be used for a bathroom flooring, shower surround, balcony, corridor, terrace, spa, pool, fountain, etc. Our Premium Crema Marfil Marble Pebble Stone tiles with a large selection of coordinating products is available and includes white marble hexagon, herringbone, basketweave mosaics, 12x12, 18x18, 24x24, subway tiles, moldings, borders, and more. Premium Grade Crema Marfil Marble Square Mosaic tiles. Spanish Crema Marble Polished 1 x 1 Mosaic Wall & Floor Tiles are perfect for any interior/exterior projects. 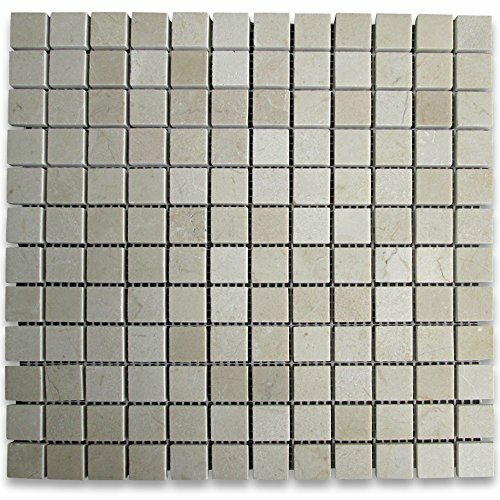 The 1x1 Crema Marfil Marble Square Mosaic tils can be used for a kitchen backsplash, bathroom flooring, shower surround, countertop, dining room, entryway, corridor, balcony, spa, pool, fountain, etc. Our Premium Crema Marfil Marble 1 x 1 Mosaic tiles with a large selection of coordinating products is available and includes hexagon, herringbone, basketweave mosaics, 12x12, 18x18, 24x24, subway tiles, moldings, borders, and more. Premium Grade Crema Marfil Marble Square Mosaic tiles. Spanish Crema Marble Polished 5/8 x 5/8 Mosaic Wall & Floor Tiles are perfect for any interior/exterior projects. 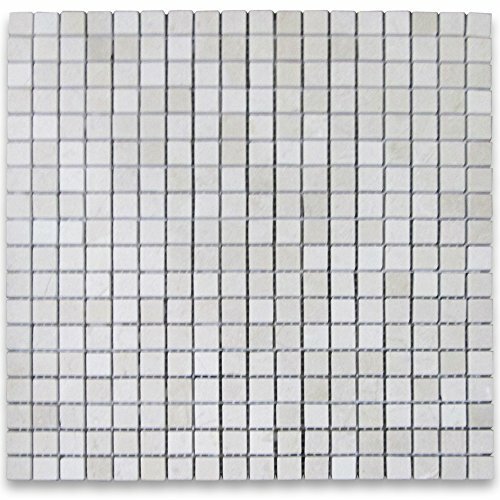 The 5/8x5/8 Crema Marfil Marble Square Mosaic tiles can be used for a kitchen backsplash, bathroom flooring, shower surround, countertop, dining room, entryway, corridor, balcony, spa, pool, fountain, etc. Our Premium Crema Marfil Marble 5/8 x 5/8 Mosaic tiles with a large selection of coordinating products is available and includes hexagon, herringbone, basketweave mosaics, 12x12, 18x18, 24x24, subway tiles, moldings, borders, and more. Premium Grade Crema Marfil Marble Hexagon Mosaic tiles. 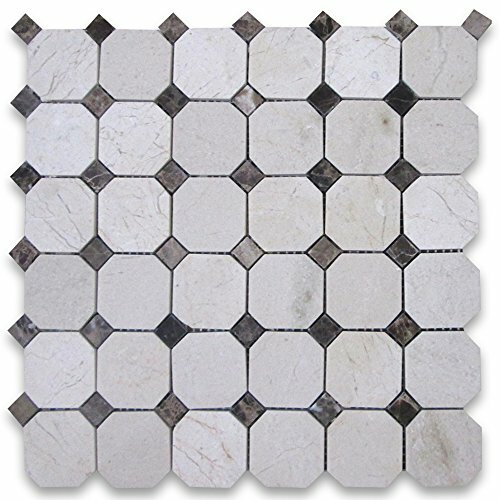 Spanish Crema Marble Polished 2 inch Hex Mosaic Wall & Floor Tiles are perfect for any interior/exterior projects. 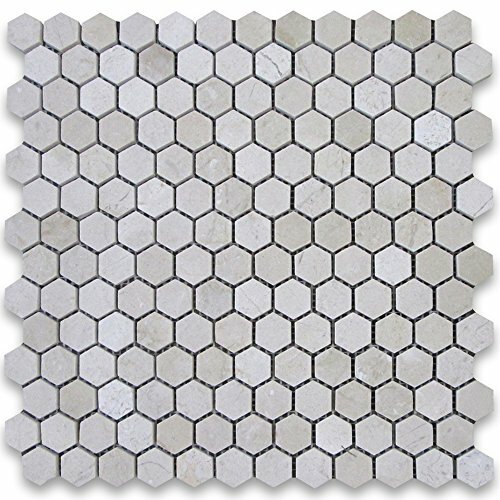 The 2 inch Crema Marfil Marble Hexagon Mosaic tiles can be used for a kitchen backsplash, bathroom flooring, shower surround, countertop, dining room, entryway, corridor, balcony, spa, pool, fountain, etc. Our Premium Crema Marfil Marble Hexagon Mosaic tiles with a large selection of coordinating products is available and includes brick, herringbone, basketweave mosaics, 12x12, 18x18, 24x24, subway tiles, moldings, borders, and more. Premium Grade Pinwheel Crema Marfil Marble Mosaic tiles. Spanish Crema Marble Polished Pinwheel Pattern Mosaic w/ Black Dots Wall & Floor Tiles are perfect for any interior/exterior projects. The Crema Marfil Marble Pinwheel Mosaic tiles with Nero Marquina Black Dots can be used for a kitchen backsplash, bathroom flooring, shower surround, countertop, dining room, entryway, corridor, balcony, spa, pool, fountain, etc. Our Premium Crema Marfil Marble Pinwheel Mosaic tiles with a large selection of coordinating products is available and includes hexagon, herringbone, brick mosaics, 12x12, 18x18, 24x24, subway tiles, moldings, borders, and more. Premium Grade Octagon Crema Marfil Marble Mosaic tiles. Spanish Crema Marble Polished 2 inch Octagon Mosaic w/ Black Dots Wall & Floor Tiles are perfect for any interior/exterior projects. The Crema Marfil Marble Octagon Mosaic tiles with Nero Marquina Black Dots can be used for a kitchen backsplash, bathroom flooring, shower surround, countertop, dining room, entryway, corridor, balcony, spa, pool, fountain, etc. 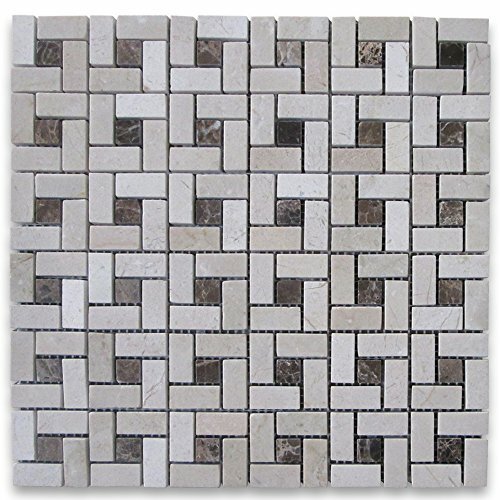 Our Premium Crema Marfil Marble Octagon Mosaic tiles with a large selection of coordinating products is available and includes brick, herringbone, basketweave mosaics, 12x12, 18x18, 24x24, subway tiles, moldings, borders, and more. Premium Grade Crema Marfil Marble Hexagon Mosaic tiles. 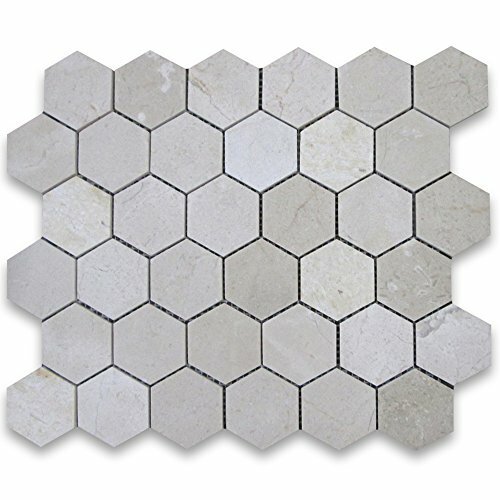 Spanish Crema Marble Polished 1 inch Hex Mosaic Wall & Floor Tiles are perfect for any interior/exterior projects. The 1 inch Crema Marfil Marble Hexagon Mosaic tiles can be used for a kitchen backsplash, bathroom flooring, shower surround, countertop, dining room, entryway, corridor, balcony, spa, pool, fountain, etc. Our Premium Crema Marfil Marble Hexagon tiles with a large selection of coordinating products is available and includes brick, herringbone, basketweave mosaics, 12x12, 18x18, 24x24, subway tiles, moldings, borders, and more. Premium Grade Crema Marfil Marble Pencil Liner tiles. Spanish Crema Marble Polished 3/4 x 12 Pencil Liner Wall & Floor Tiles are perfect for any interior/exterior projects. 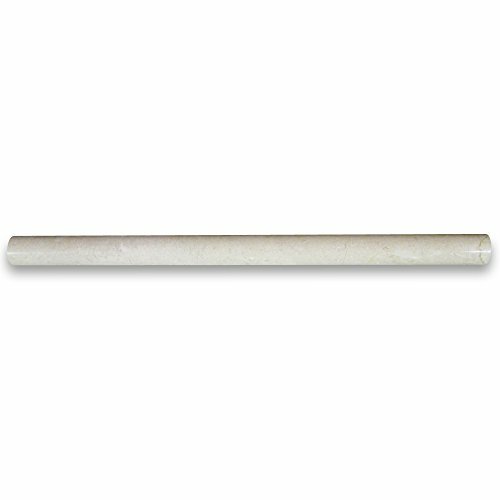 The 3/4x12 Crema Marfil Marble Pencil Molding tiles can be used for a kitchen backsplash, bathroom flooring, shower surround, window sill, dining room, hall, etc. Our Premium Crema Marfil Marble Pencil Liner tiles with a large selection of coordinating products is available and includes hexagon, herringbone, basketweave mosaics, 12x12, 18x18, 24x24, subway tiles, borders, baseboards, and more. 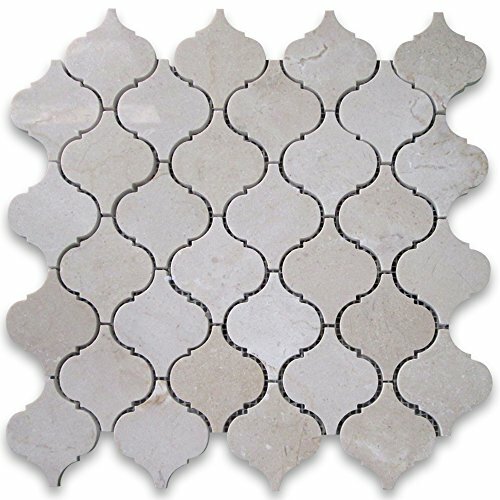 Compare prices on Crema Tile Flooring at ShopPlanetUp.com – use promo codes and coupons for best offers and deals. We work hard to get you amazing deals and collect all available offers online and represent it in one place for the customers. Now our visitors can leverage benefits of big brands and heavy discounts available for that day and for famous brands.